The FastFit® family expands to include Material4X® durability. Our Material4X® microfiber redefines durability with higher abrasion resistance and greater tear resistance than standard synthetic work gloves. 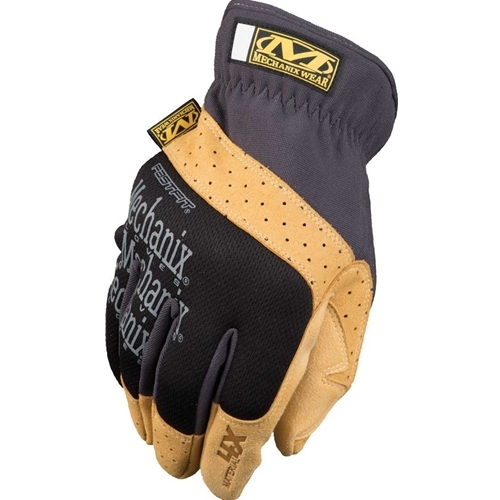 Material4X® is completely washable, making this glove as practical as it is popular. The quick-fit elastic cuff provides a snug fit to the wrist with easy on and off flexibility between tasks. Your hands will stay cool and comfortable with a knitted mesh back-of-hand and form-fitting TrekDry® material covering your wrist, thumb and fingers.